CODA’s tradition of thanking our Community Partners and supporters at an annual luncheon began five years ago. The event has become a welcome moment to stop and take stock of the remarkable partnerships that exist in our field in Greater Portland. The keynote speaker at the Nov. 30 event was Central City Concern’s CEO Rachel Solotaroff, MD, who made a compelling observation when she compared the nearly instant removal of tainted lettuce from stores and restaurants to the horrifically inadequate response to the opioid crisis. CODA Deputy Director Alison Noice took the guests through many of the success stories of the past year — parents struggling with addiction who were reunited with children; pregnant women with opioid use disorders who were welcomed at Project Nurture with warmth and respect, given excellent pre- and post-natal care and supported through delivery of healthy babies; recovering people able to find safe housing and jobs that were out of reach before the care provided by CODA and its partners. The creator of the Gratitude Luncheon tradition was the now-retired Leslie Peltz, shown at far right in the photo. 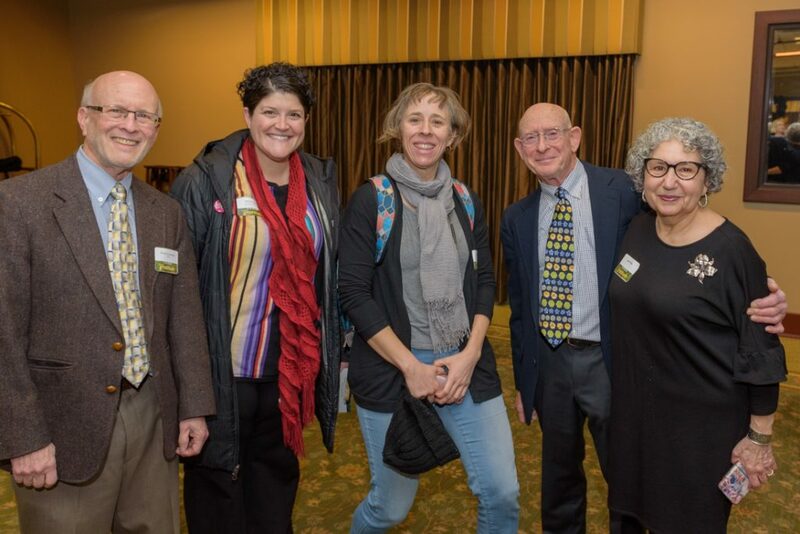 With her, from left: CODA Board member Dr. Richard Lowensohn, Rabbi Rachel Joseph of Congregation Beth Israel, Dr. Amanda Risser of Project Nurture; and tireless CODA supporter Robert Peltz. Coordinator of this year’s luncheon was Cassie Archer, CODA’s Director of Community Relations. See more photos of the luncheon on CODA’s Facebook page!